Did you know that an estimated 67 million people over the age of 12 listen to podcasts every month? And that $250 million will be spent on podcast advertising this year alone? That figure is expected to double by 2020, so no wonder so many are considering creating a podcast these days. It also doesn’t hurt that there are dozens of entrepreneurs who are killing it with their podcasts and are making big bucks. So, how do you go about starting a profitable podcast? Pick something you are passionate about, put in a ton of hard work and do your best to deliver the best quality content for your followers. We’ve kicked around the idea of starting a podcast or giving streaming on Twitch a try as there is also big money to be made playing video games. PG gamer, Tyler “Ninja” Blevins, recently admitted that he makes over $500,000 per month playing ‘Fortnite’ on PC. So, podcasting and streaming eSports could bring you riches beyond your wildest dreams if you can find a way to become popular. If you are ready to create your own podcast or to become a stream you’ll need to get a great microphone. Audio quality is important for podcasting as that is how all your content is being delivered unless you jump over to video. A good microphone connected to your computer will allow you to record vocals, music, podcasts, audio for video, interviews, and so much more. 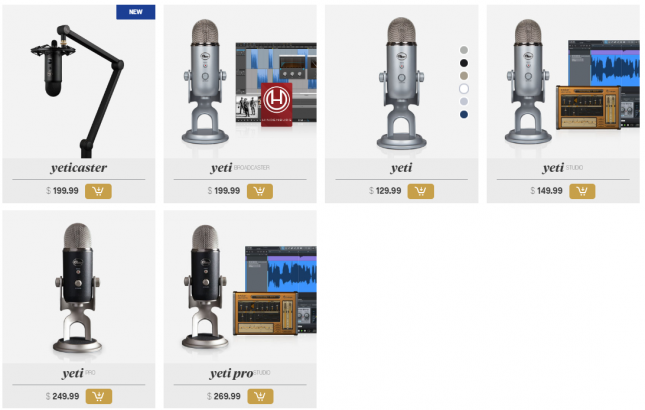 Picking a microphone can be complex, but one company is considered to have the best USB microphone in the world and that would be Blue’s Yeti series. 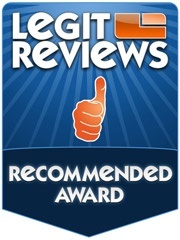 This series is popular for podcasters, streamers and YouTubers for a reason – it’s darned good. 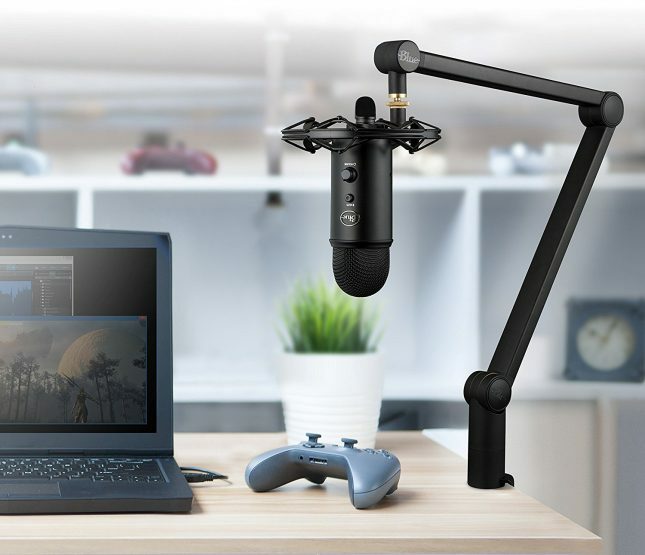 The only problem is that while it comes with a solid table stand, most YouTubers, podcasters and streamers usually have a boom arm stand. Having your microphone boom mounted frees up table space, reduces the chance of table noises being picked up and you are able to move the microphone during recording. 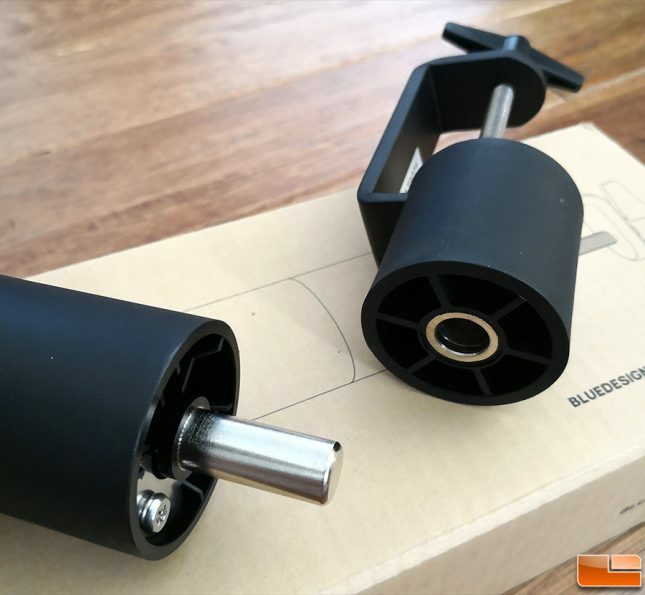 Finding a cheap microphone boom arm for a Yeti can be tough as most don’t have the right mount for the Blue Yeti and others can’t handle the weight of the Blue Yeti. 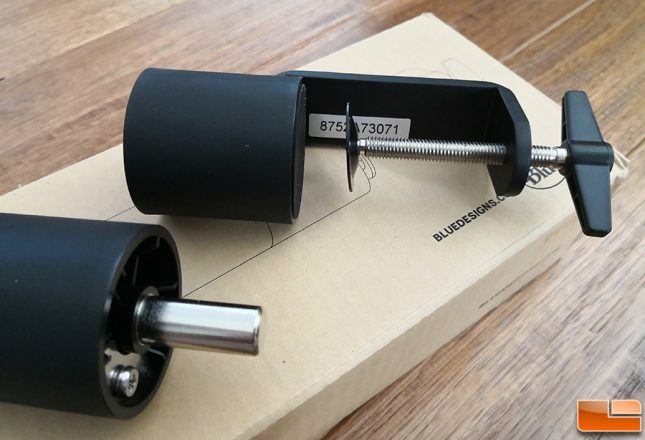 The Blue Yeti microphone weights in at 1.2 lbs (0.55 kg) and by the time you add in the weight of a shock mount and pop filter, you are needing to hang around 2lbs of gear off a boom arm. The folks over at Blue have finally introduced their own boom arm, Compass. The Blue Compass is a premium broadcast boom arm with internal springs, built-in cable management and stylish looks. Blue says this beefy boom arm can support up to 2.4 lbs, so it supports every single microphone offered by Blue! And that is a good thing as this premium boom arm runs $99.99 shipped. The Blue Compass comes in a box that is nearly 39″ in length and desktop boom arm was safely packed inside. There are only two pieces to the stand, so installation is a breeze and everything is very straight forward. The first piece that you need to work with is the table mount or what we’d like to call the base. This metal base simply slides over the end of a table or desk where you want the boom arm to be located and then you just tighten the screw on the c-clamp. The clamp opens to 2.5″ or 63.5mm, so the Compass will fit most desk surfaces as long as there is an overhang. 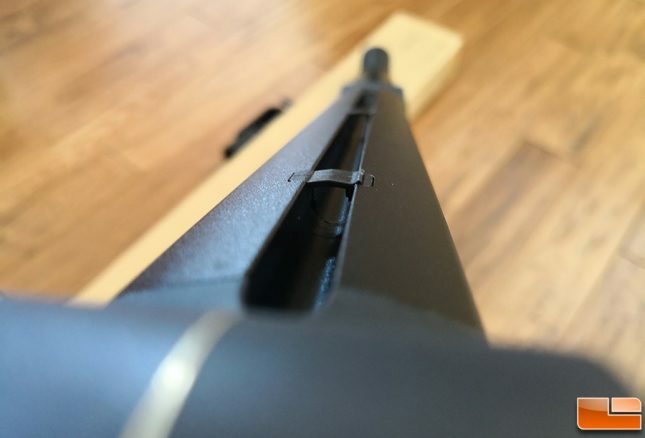 Once that is securely tightened to your desk you can attach the main boom arm and that is done by aligning the boom arms solid metal shaft with the sleeve on the base. Both metal and plastic make contact here, but turning the boom arm is fairly easy and there is no noise. You could also drill a hole in the surface that you want to mount it in if you don’t want to use the flange mount. The screw in the bottom of the boom arm is the tension adjuster for the internal spring mechanism. The quality of this tube-style boom arm is superb as the fit and finish looks sharp. One side of the boom arm has the Blue logo on two of the three pivot points, so you might want to position the stand on your desk to where these are facing the camera of your guest. The other side has friction-hinges that are meant to be hand-tightened once the boom arm is articulated how you like it. There is a built-in channel down the two tubes of the arm to keep the microphone cable run nice and clean. Just flip open the clips, route the cable and then close them. The cable track is wide enough to fit an XLR cable! 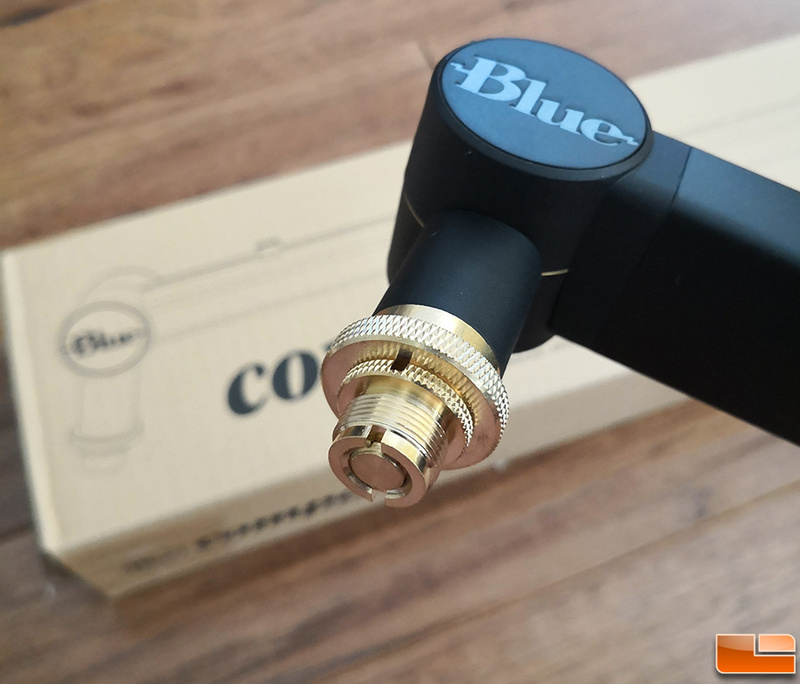 The Blue Compass is compatible with all standard shockmounts as well as Blue Yeti or any other professional broadcast microphone that is under 2.4 pounds. Blue includes a 3/8″ to 5/8″ adapter to help ensure you won’t need to order in more parts. 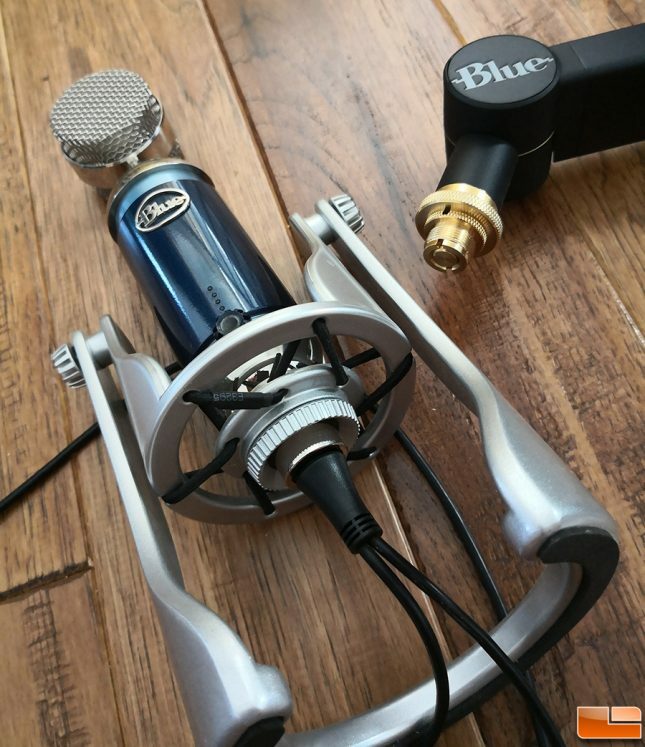 We had a bit of a moment when we tried to use the Blue Compass on our decade old Blue Spark condenser microphone We quickly realized that there was no way to attached it to the Blue Compass without a shockmount like the Blue S3 Shock ($99.99 shipped). 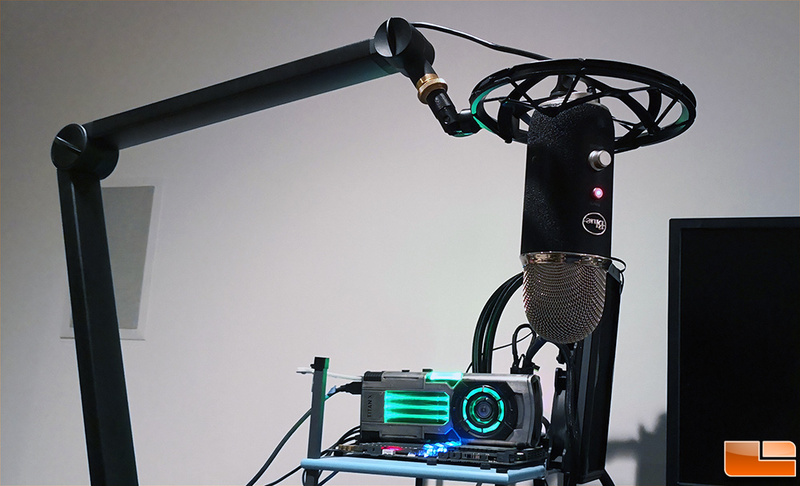 The good news is that the Blue Yeti series will attach to the Compass without a shockmount, but you can also use the the Blue Radius III shockmount ($49.00 shipped) for the Yeti and Yeti Pro USB microphones. You can twist the end of the mount around and rotate the Yeti to have the mic right side up or facing down, whichever is your preference. It has 32″ of total reach with the lower arm being 15″ and the upper arm being 13″ and the rest of the distance is in joints and mount. We should note that the Blue Compass boom arm is only available in black. We’ve been using the Blue Compass for a couple months and it’s been great. Our gaming desk isn’t solid wood, so we didn’t tighten down the c-clamp enough and we heard a crash from the other room. We came back to find everything on the floor and talk about having a small heart attack when you see almost $400 of broadcasting gear on the floor. We cranked the c-clamp a little tighter after that and it’s not budged since. Swinging the arm to the side is smooth and adjusting the pivot points is fairly easy. It works as one would expect it to and now we just need some cameras to actually start game streaming or doing a video podcast. Unfortunately, Blue doesn’t make cameras! If you are wanting to get a boom arm that is quiet and will look good on camera we certainly suggest giving the Blue Compass a closer look. You can find the Blue Compass on Amazon for $99.99 shipped and it is backed by a 2-year warranty.